LEGO Ideas Exo Suit 21109 Just $26 Down From $35! 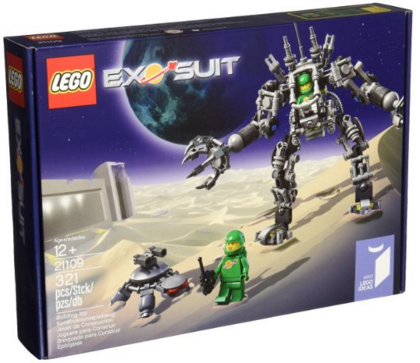 You are here: Home / Great Deals / Amazon Deals / LEGO Ideas Exo Suit 21109 Just $26 Down From $35! Here’s a great Christmas gift idea. LEGO Ideas Exo Suit 21109 is just $26 down from $35 on Amazon! Get yours now while it lasts! Exo Suit features possible limbs, opening cockpit, grabbing claws and a modular design, Includes spacesuits in green with Classic Space logo!